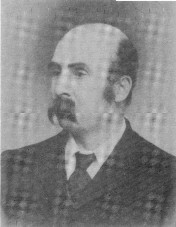 Born: 1849, Bath, United Kingdom. Died: 1927, Hamburg, Eastern Cape, South Africa. Henry M. Chute studied at the Bristol Medical School, where he won a gold medal, and qualified as a member of the Royal College of Surgeons (MRCS) of England, and as a licenciate of the Royal College of Physicians (LRCP) of Edinburgh, in 1870. He worked as resident medical officer at the Royal Infirmary in Bristol for eight years before emigrating to the Cape Colony, where he was licenced to practise on 4 January 1878. After four years as first house surgeon at the Provincial Hospital in Port Elizabeth he settled in King William's Town in 1882 and remained there for 41 years. He served as district surgeon from 1888 for many years, was the medical officer of the Lock Hospital from 1885, and from 1887, as medical officer of health for King William's Town, reported annually to the medical officer of health of the Cape Colony. He resigned from the latter post in 1922. Dr. Chute was an ardent naturalist and microscopist. He did original research into schistosomiasis (bilharzia), which led to an article on "Bilharzia haematobia and endemic hematuria" in the first series of the South African Medical Journal (1885). He also contributed an article on yaws to the same journal in 1887. When the Frontier Medical Association was formed in November 1886, he served on its first council. The association ceased to exist after about two years, but in February 1898 Chute was elected a non-resident member of council of the Grahamstown and Eastern Province Branch of the British Medical Association. He was also one of the first memebers of the (second) South African Medical Association in 1897. In July 1884 Chute was elected on the first committee of the newly founded King William's Town Naturalists Society, which established and managed the King William's Town Museum (later the Kaffrarian Museum). At the first meeting of the society on 23 July he exhibited microscopic slides of insect parts, algae, fungi, etc., and at the next meeting "a grand and valuable collection of flint arrowheads as used by the Bushmen", collected near the Indwe River and Dordrecht in the Eastern Cape. In December that year he donated a microscope to the society and around 1896 served as honorary secretary of its management committee. He took an active interest in the museum, which was opened to the public in October 1898, serving as its first honorary curator, while Frank A.O. Pym* was appointed as assistant curator. Chute seems to have collected at least some natural history specimens himself, for in 1899 he donated five scorpions to the South African Museum in Cape Town. He was elected vice-president of the King William's Town Naturalists Society in 1910, and served as its president from 1910 to 1912. Meanwhile he had also taken an interest in attempts by J.D. Ellis* and others to introduce trout into the rivers of the Eastern Cape. He served on a sub-committee of the King William's Town Naturalists Society, appointed in October 1890 to liase with the government and make preparations for the arrival of trout ova from England. Chute obtained a government grant of 100 pounds for this purpose. The experiment proved unsuccessful owing to an outbreak of a fungal disease among the fry. However, the trout pioneers were not dismayed and in June 1894 formed the Frontier Acclimatization Society to continue their efforts. Chute was a member of its committee and in 1897 dissected some of the trout that had died at the Pirie Trout Hatchery in an effort to determine the cause of death. Dr. Chute was a member of the South African Association for the Advancement of Science by 1903, and served on its council from 1903 to 1908. He was still a member in 1911. In 1917 he applied to buy three plots at Hamburg, a small settlement at the mouth of the Keiskamma River, and moved there when he retired in 1923. After his death he was described as "the most lovable of personalities". Cape of Good Hope. Report of the committee of the Public Museum, King William's Town (title varies), 1896-1901. Cape of Good Hope. Report of the trustees of the South African Museum, 1899, p. 19. Cape of Good Hope. Report on public health, 1897, 1898, 1899. Harrison, A.C. Trout pioneering in the Eastern Province. No. 3. The debut of A.N. Stenning, 1896. No. 4. The experiments of the King William's Town Naturalists Society. Piscator, 1950, Vol. 4(16), pp. 117-120; 1952, Vol. 5(18), pp. 55-64. Kaffrarian Watchman, 25 July 1884, p. 3; 1 August 1884, p. 3: "King William's Town Naturalists Society". King William's Town Naturalists Society. Minute Book (1884-1899), meetings of 23 July, 29 July and 23 December 1884. National Automated Archival Information Retrieval System (NAAIRS). http://www.national.archives.gov.za/naairs.htm Documents relating to Chute, Henry Macready / Chute, Henry M / Chute, Dr H.M.
Randles, B.M. A history of the Kaffrarian Museum. King William's Town: The Kaffrarian Museum, 1984. South African Medical Journal (first series), 17 November 1886, Vol. 2(20), pp. 78-79: "Frontier Medical Association"; (second series), May 1897, Vol. 5, pp. 20-21 and January 1898, Vol. 5, pp. 240-242: "South African Medical Association"; March 1898, Vol. 5, pp. 279-280: "E.P. Branch, British Medical Association".